Several months ago, I made a commitment to live a healthier lifestyle. Along with eating right and cutting down on my caffeine intake, I also decided to be more active. I knew that an activity band would be a helpful tool to gauge the amount of activity I was getting. I read many reviews of the more popular bands – Nike + Fuelband SE, Up by Jawbone, and the FitBit Force, but they didn’t have all of the features I was looking for. I wanted an activity band to do more than being a hi-tech pedometer. After much research, I discovered the Polar Loop. Polar, unlike many of the other manufacturers of fitness bands, has been an industry leader in fitness technology and sports physiology. Their products are used by athletes and fitness enthusiasts around the globe. While the Polar Loop does track the number of steps you take throughout the day, it’s capabilities far exceed this basic function. It measures your total activity at all times, even while you’re asleep, and it will track your total calories burned including times when you are less active. It also acts as a wristwatch, eliminating the need to wear multiple devices on your wrist. One of the best features is that the Loop is waterproof up to 60′ and it is one of the few activity bands that will accurately measure your activity while swimming. The Polar Flow app (currently only available on iOS and select Android devices) allows you to set fitness goals and track your progress. To keep you on-track, the Polar Loop will tell you how many minutes of jogging, walking, or standing you need to reach the goal. When paired with the Flow app, it will also tell you how many minutes of a specific activity (like dancing or golf, or jump roping – just to name a few) you need to reach the goal. The Polar Loop will notify you when you have been inactive too long. The Polar Loop reaches its full potential when it is paired with one of their Smart Bluetooth heart rate monitors, such as the H7. When the heart rate monitor is attached, the Loop eases into training mode as you begin your workout. 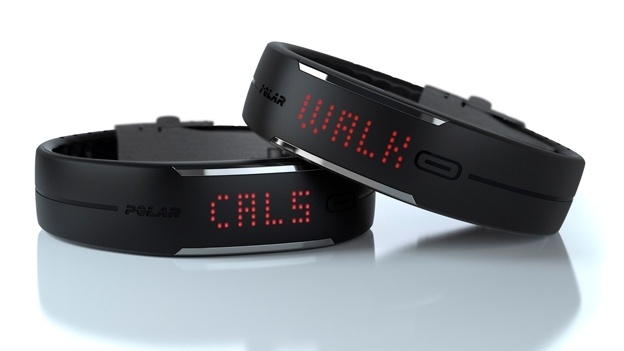 The device actively tracks calorie burn based on your heart rate. It will do this until the heart rate monitor is removed from your body. Note: Be sure to detach the HR monitor from the strap since it is possible for the loop to get false readings from the HR monitor. If you are in the market for an activity band that does more than just count your steps, give the Polar Loop a try. It comes in three different colors and costs around $109.